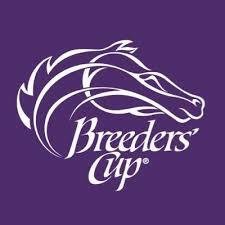 “There are 6 horses I have connections with in the Breeders’ Cup. Two fillies in the BC Juvenile fillies – Noted and Quoted for Speedway Stable along with Champagne Room for Ryan Exline and friends. Zipessa runs for for Patrick Gallagher and Larry Salustro in the BC Filly and mare turf. Holy Lute, who I bought as a successful weanling to yearling pinhook for Stuart Denholtz, runs in the BC Turf Sprint. There’s Toms Ready, whose mating was conceived at Mt Brilliant Farm before they sold the mare to Blackstone Farm. And then there’s Klimt who runs in the BC Juvenile. I feel privileged to be part of Pavla Nygaard’s team when she consulted me about his matings. Go Klimt!